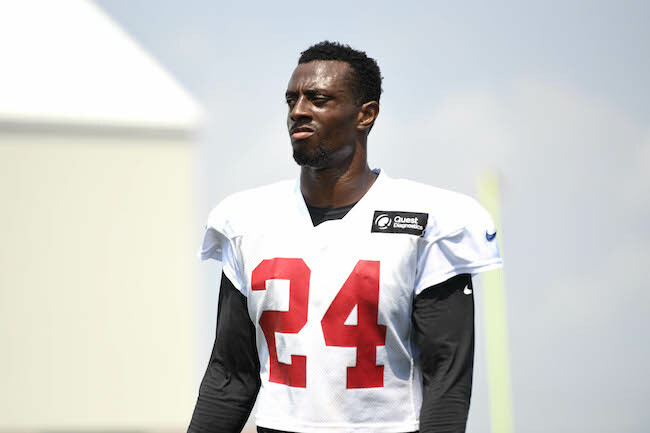 The New York Giants have traded cornerback Eli Apple to the New Orleans Saints in exchange for a 4th-round pick in the 2019 NFL Draft and a 7th-round pick in the 2020 NFL Draft. 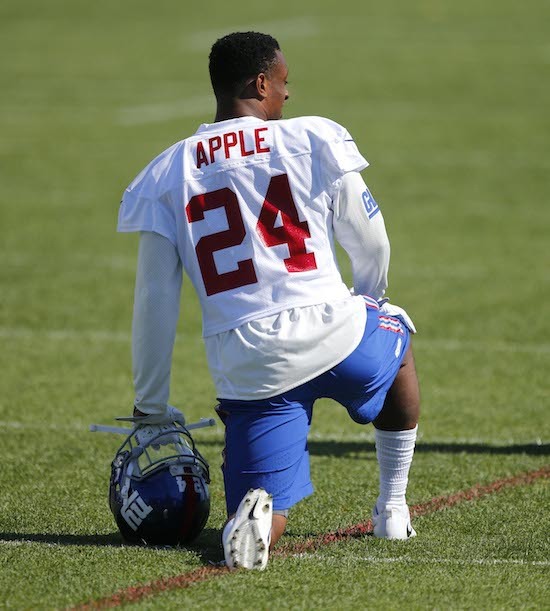 The Giants drafted Apple in the 1st round of the 2016 NFL Draft. As a rookie, he missed two games with hamstring and groin injuries, but surprisingly started 11 of the 14 regular-season games he played in. Apple finished the season with 51 tackles, seven pass defenses, one interception, and one forced fumble. Apple had a disastrous sophomore season with the Giants, with inconsistent play on the field and trouble off of it. 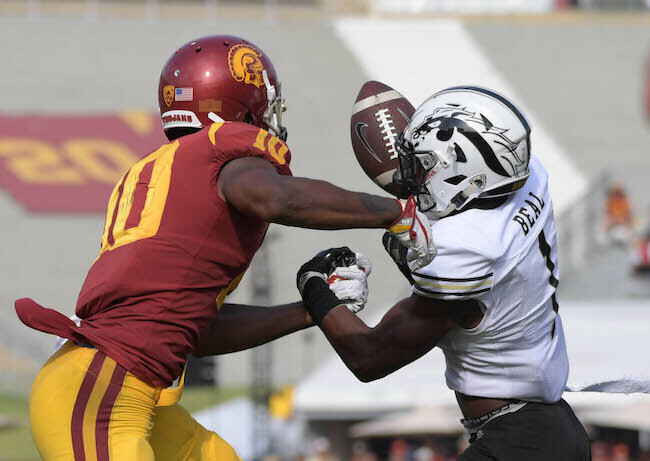 Apple played in 11 games with seven starts, finishing with 49 tackles and eight pass defenses. He was designated inactive four times and lost playing time (including four starts) to less-talented players. Apple was then suspended by the Giants for conduct detrimental to the team in the last week of the season. Apple had family issues off the field and battled with coaches and teammates. Whether due to play or attitude, the Giants clearly lost confidence in Apple as the season progressed. This year, Apple started in all five games he played in, missing two with a groin injury. He had 23 tackles, five pass defenses, and one forced fumble. 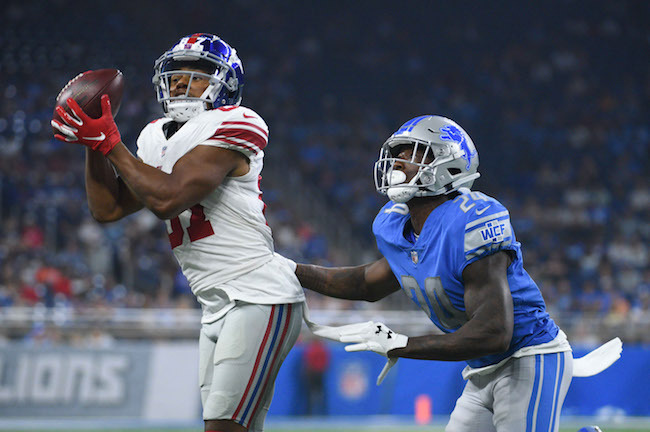 Q: Can you explain the background to the (CB) Eli Apple trade? A: We’re trying to win every game we play, and we’re doing what we can right now to win football games, but we’re also always looking at the roster on a short-term and a long-term basis. We felt like it was good value. 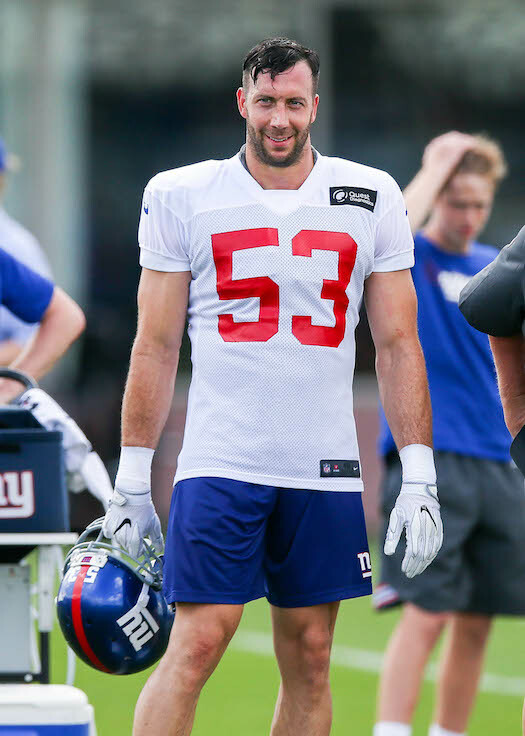 Eli has played well for us here this year. He’s going to be a (New Orleans) Saint now, and so we wish him well. Q: So you’re saying that a fourth-round pick and a seventh-round pick was good value for a first-round pick? A: We feel like it was good value for Eli, yes. Q: Was he not playing that well? A: I think he was competing and doing good things. I think, much like all the players, there’s a play or two each week you’d like to have back, but he was competing. Q: What message do you relay to the team in terms of not throwing in the towel or wasting what’s left in the season by trading him? A: That’s not the narrative – throwing in the towel. I think if you remember back, Eli (Apple) was out with injury when we beat Houston. Then, (CB) B.W. Webb played in his spot against two fine receivers. We’re not throwing in the towel. This will give an opportunity for some young players and newer players to have an opportunity to play. Plus, as we kind of look at this thing moving forward, we’ll have a draft pick – actually two draft picks, one next year and certainly one in 2020, in value. Q: How do you balance the short-term and the long-term goals of the team with the trade deadline looming? A: There’s no balancing act in my mind. I’m worried about the team today, and what we need to do to get ready to play Washington. There’s no balance there, but I’m always a part of the discussions as we work to get the roster the way it’s going to be this week, and certainly thinking about the future. Q: Do you anticipate any more trades? A: I don’t know that at this point, no. Q: Does (CB) B.W. Webb move to the outside and become the new starter? A: He’ll be in the mix there. He’s competed well on the inside as well. I think that’s where he’s done good work here the last couple of weeks. He has value playing inside. We’ll just have to see. We’ve got some guys that we’ll slide in and see what they can do. Q: This team traded away a healthy young starter. How do fans look at this as not being a rebuilding situation? A: Trades happen, and we feel like maybe the answer is on our roster, and we’re going to let the guys that are here compete, and do what they can do to help us win a football game. Again, it’s an easy comparison because Eli (Apple) was hurt. I just mentioned that. Eli was hurt in the game that we won. Locker rooms have a way of moving past all this. Locker rooms have a way getting themselves right, and putting the next player in there, and you go out and play. I think that’s the view we as coaches and players take. Q: After looking at the film, do you have a feeling of the play of the offensive line? A: I thought we pass protected much better at the end of the game. Early in the game, I think each guy probably had a breakdown or had a bad play that contributed to some of the challenges we faced moving the ball, but I think the lineup that we had in there, they kind of got settled down. They played much better at the back-half of the game. Q: If you are taking a longer-term view here, can you say definitively that (QB) Eli Manning will be your quarterback on the other side of the trade deadline? A: Yes, I do. I think Eli will be our quarterback. He has been, and he’ll continue to be here. I don’t know how that plays into the Eli Apple trade. 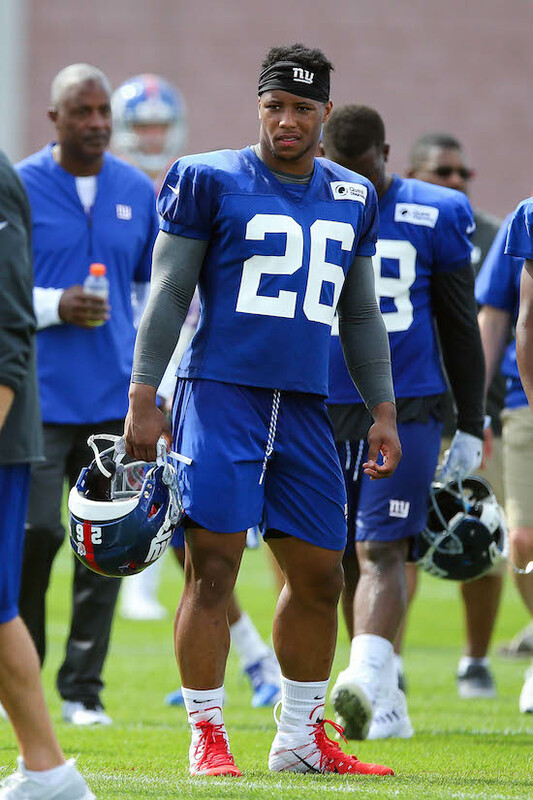 Q: Just the idea that if Eli (Manning) wants to win now towards the end of his career, that you guys are taking a long-term view of the situation. A: I didn’t say we were taking a longer term view. I said what we do is do everything in our power to win each week. Everything in our power to win each week, but that’s also certainly something (General Manager) Dave (Gettleman) considers moving forward, and certainly I’m involved in those conversations – okay, this is how we’re going to do it. 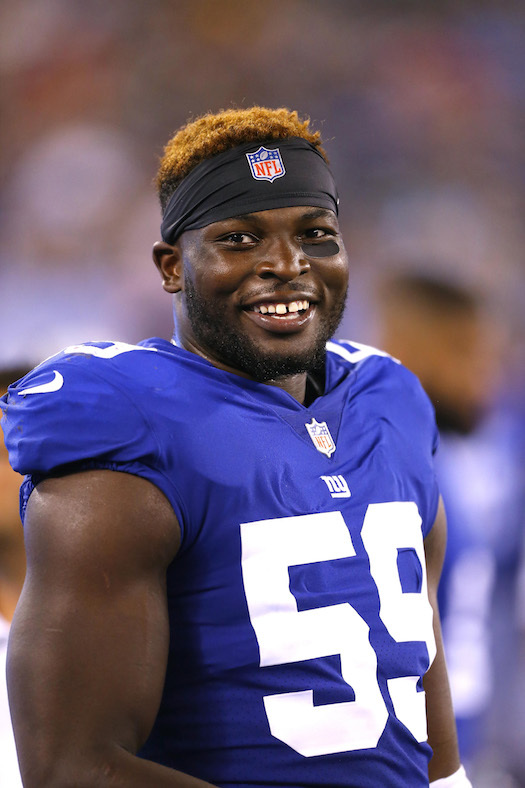 As I mentioned earlier, we traded Eli (Apple) for a pick, but we’re going to give the guys on our roster, who have played good football for us, an opportunity to go out and play. Q: Twice in the last two games the television cameras have shown you on the sideline mouthing, exhorting Eli Manning to throw the ball. Obviously as the coach you can relay messages to your players all the time. Is that something – is that a sign of frustration or is that just isolated plays that you want him to do something different? A: No I think when I’m on the field from where I’m standing, there are times where I’ll say we probably should’ve got the ball to so and so, but when I look back at the pictures or somebody from upstairs has a little bit better view of it, there’s sometimes that it changes. No, that’s just conversation. I guess everybody’s into lip-reading now. A: There are times when you can’t see exactly the way the quarterback sees it. I’m not playing into the hypotheticals here. Q: I’m not asking a hypothetical. I’m just asking about that play because do you think you should throw to Odell? A: On that play, Odell was open immediately, but from Eli’s view he didn’t see the guy trailing him and the one thing about that play and Eli and everybody knew it is we really had four options on that play, so you go through the progression and then you got kind of a second and a third option that might be available if that one was a little bit too tight and that just goes into the decision making of the quarterback that is doing it at game speed. Q: I ask this as not only a head coach, but as a former offensive lineman yourself. Why has that unit seemingly not been able to hit a stride and kind of be consistent or get better? A: Let me answer that in a way. Number one we’ve had – we’re trying to find the right combination of guys and we all know the longer guys work together, the better they play together. (Jon) Halapio was playing really good ball when he got hurt, so we put in another center. In order to get better play out of another position, we had to move a center and then put in another center and so what happens is I think as we can settle in on a group of guys, they’ll continue to play better. Now there were stretches in the game where they played good football, but I would say there was also times when there would be an individual guy that would have a breakdown. I think that can be said for all offensive lines. There was times last night when the Atlanta offensive line struggled to block our guys and we sacked Matt Ryan a couple of times, so that happens. 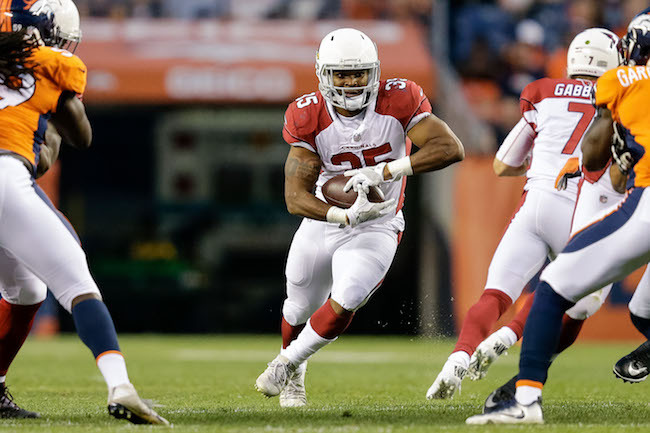 The challenge for us and, again, we move the ball for a lot of yards, we got down in the red zone. When we get in the red zone, we need to score points and I think then this changes and we need to score points earlier in the game. That’s why I decided to go for it earlier in the game because I thought we were down there and it was important to do everything in our power to try to score points and some of the stuff then becomes overshadowed. 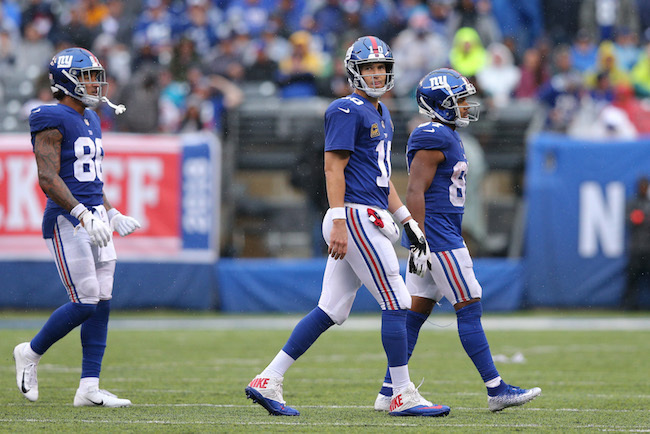 Q: At the end of the game when you guys were in that hurry up mode there and Eli is running the sneak, are you calling those plays into him or was he calling those plays on his own? How does that work? A: I call them in. Head Coach Pat Shurmur and select players will address the media on Wednesday.